Time to treat yourself with some Converse! 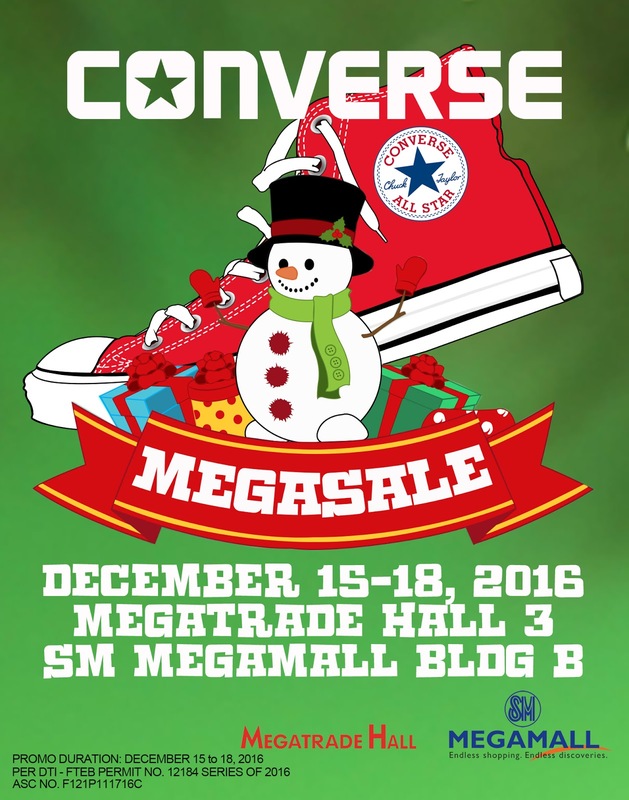 Head over to SM Megamall, Megatrade Hall 3 on December 15-18 fr Converse Megasale!!! Don't forget to mark your calendar and score up to 60% off with Converse sneakers, apparel and accessories collection.